Trident White Sugar Free Gum,WINTERGREEN. It Helps: Whiten teeth in as little as 4 weeks; Freshen breath; Prevent stains*; Fight cavities. 16-Piece Package (Pack of 9). 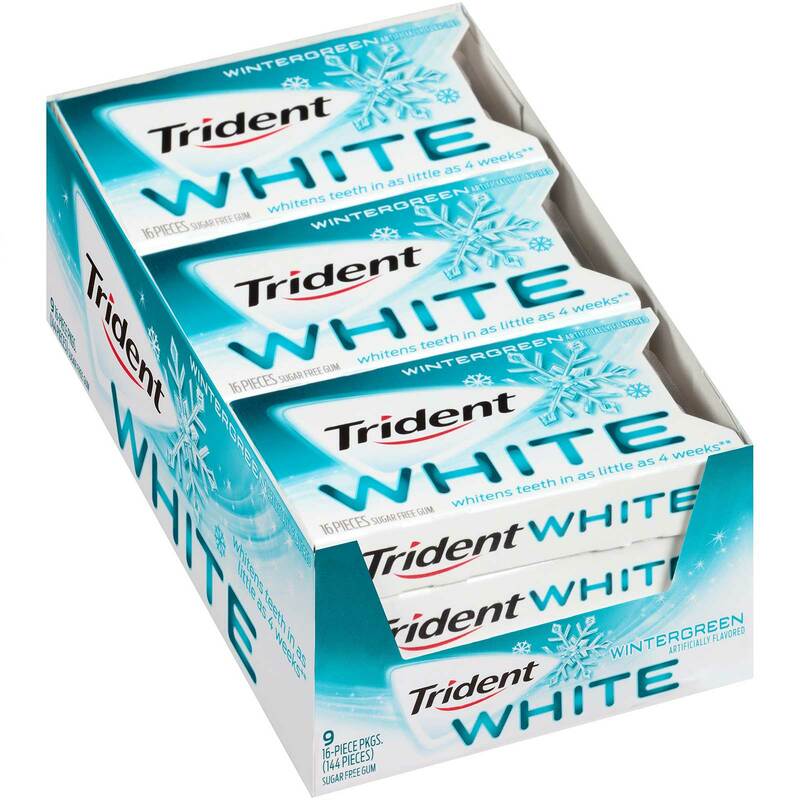 Order TRIDENT WHITE WINTERGREEN in bulk at wholesale price at Volt Candy Online. TRIDENT WHITE PEPPERMINT Trident White Sugar Free Gum. Trident White Spearmint Sugar Free Gum. 9 – 16 pieces per pack.